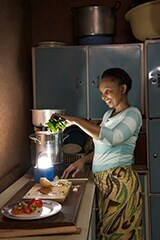 Amsterdam, Netherlands – Royal Philips (NYSE: PHG, AEX: PHIA) and the SNV Netherlands Development Organisation, will be working together to improve access to clean cooking solutions in Africa by introducing clean and efficient household cook stoves to rural communities across the continent. The partnership aims to improve the health and well-being and income of rural populations while having a direct positive impact on the environment and will include research, community education and access to financing for adopting clean cooking technologies. According to the World Energy Outlook 2012, a staggering 2.6 billion people still depend on traditional cook stoves or open fires for cooking and heating their homes. The health and environmental risks of this are considerable. Every week, 75,000 people – mostly women and children - get sick or even die as a direct result of inhaling smoke. And each day, 3.9 million tons of fuel wood are burnt, contributing to the daily loss of 200 km2 of forest1. There are cleaner and more efficient cooking solutions available. But communities in rural areas do not know the benefits of clean cooking alternates or cannot access or afford to invest in them. Philips and SNV are joining forces to address this issue. 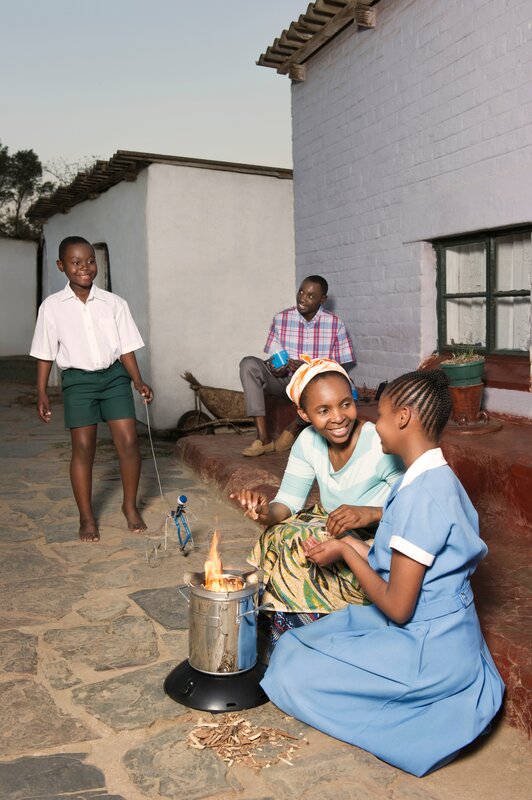 Philips’ ambition is to create meaningful innovations that matter to people and address the key challenges that confront society; this is why for the last 3 years, Philips has invested in the design and manufacturing of an innovative fan driven cook stove that can improve the lives of those who rely on wood or biomass for their daily cooking. These specially designed cook stoves can reduce smoke and carbon monoxide emissions by more than 90% compared to an open fire2 thus reducing the health risks of indoor cooking. The cook stove utilizes pellets, wood or other biomass for cooking in a healthy, environmental friendly and fuel efficient manner. Philips is testing different financing and go-to-market models to ensure that this solution become accessible to people that would not be able to afford them otherwise. SNV Netherlands Development Organisation has extensive experience with increasing access to clean cooking solutions for low income communities. They collaborate with and build capacities of local retailers to promote clean cooking solutions and increase local availability of cook stoves. SNV studies what people can afford, and sets up market based solutions including access to finance for households and small to medium businesses. Over the years, SNV has invested in research to learn which cooking solutions are the healthiest, most economical, user-, and eco-friendly. Philips produces some of the cleanest products currently available on the market. 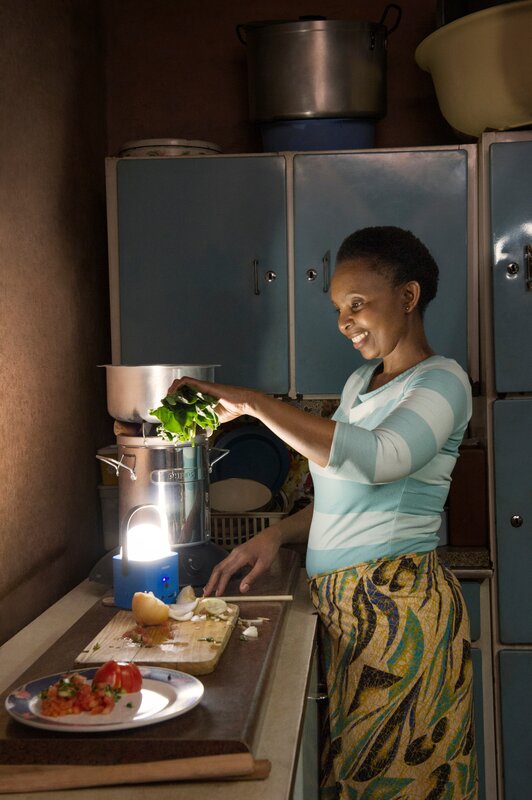 To increase access to these products, SNV and Philips are now joining forces. They will collaborate in further research and promotion of clean cooking solutions. The collaboration between SNV and Philips will initially focus on Kenya (East Africa) and Ghana (West Africa); an official Memorandum of Understanding (MoU) between SNV Netherlands Development Organisation and Philips will be signed on 20 November 2014 during the assembly of the Global Alliance for Clean Cookstoves (GACC) in New York. 2Reference source: Water boiling test version 4.2.2 done at accredited stove laboratory, Aprovecho Research Center, Oregon, USA.